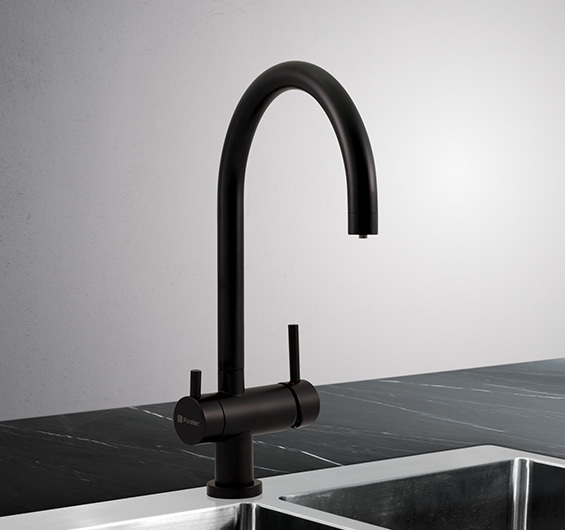 All black tapware with all round appeal – the Tripla-BL2 is right at home in city apartments, country mansions, and every type of property in-between. That’s the beauty of contemporary matt black tapware – it’s a perfect fit with just about every colour scheme and every surface. With separate levers either side for filtered water and hot and cold tap water, the BL2 is versatile in function as well as setting. The BL2, like all Puretec Tripla taps, does not mix filtered and unfiltered water.